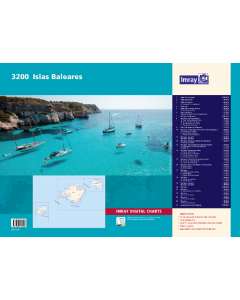 Imray folio for the Balearic Islands. 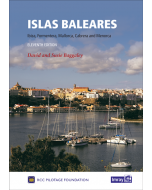 A brand new chart atlas covering the Islas Baleares - Ibiza, Formentera, Mallorca, Cabrera and Menorca. 25 sheets provide all of the necessary information for passage planning and detailed approaches to the harbours and anchorages of this appealing cruising ground. In loose-leaf A2 format in a tough plastic wallet, the atlas includes a free mobile download of Imray digital charts for the Western Mediterranean.